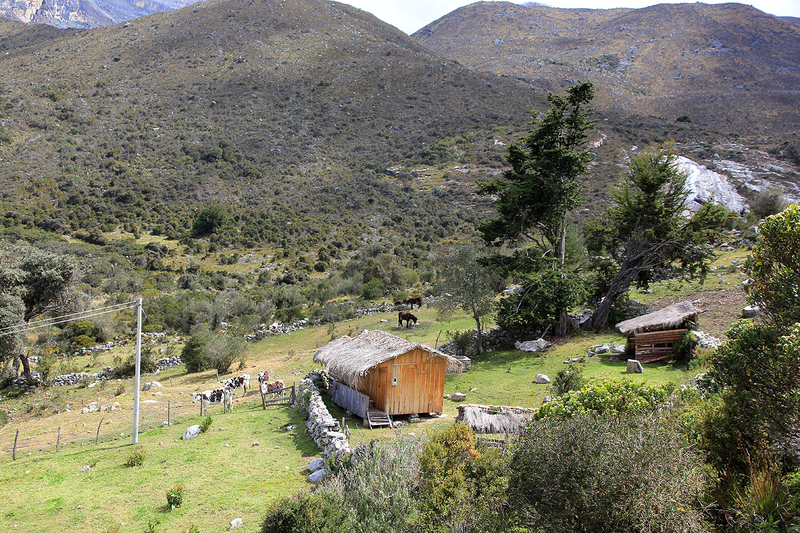 The natural starting point for this climb is the last farm on the road, called Esperanza. 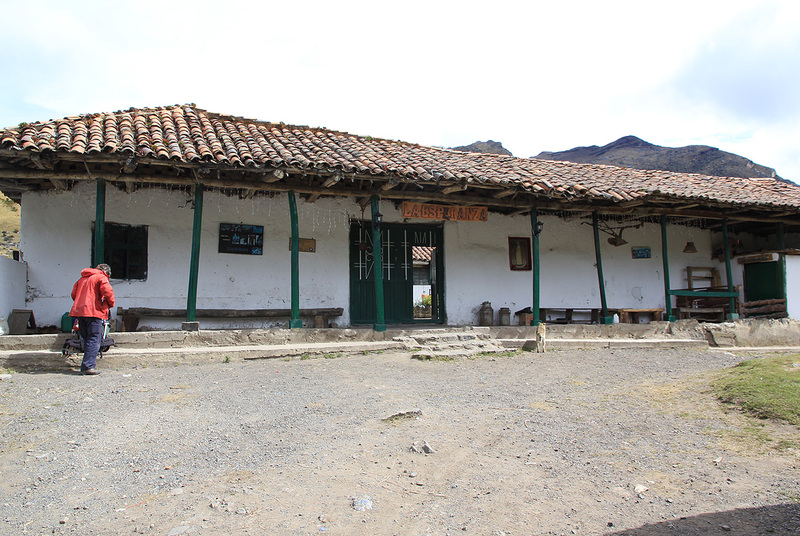 This place is reached from the village of El Cocuy (or from the village Guicán.) in about one hour. It is important to note that one must register with the National Park Office in either of these two villages before travelling to this trailhead. A visiting permit (unlimited length) was 35.000 peso for foreign nationals in 2012. For more detailed information on the local travel, see the trip report. This is the trailhead, location N06:25.091, W072:21.249, elevation 3600 meter. 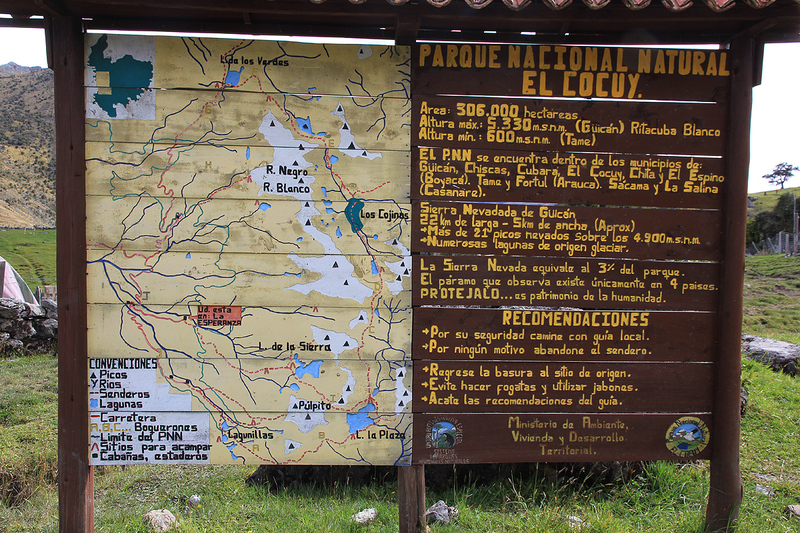 It is recommended to also consult with the map showing our travel in Colombia and the route to the summit. This climb is naturally divided into two parts. One would normally camp at Laguna Grande. The trail starts at the end of the building, runs by an information sign, then uphill before entering farming fields. 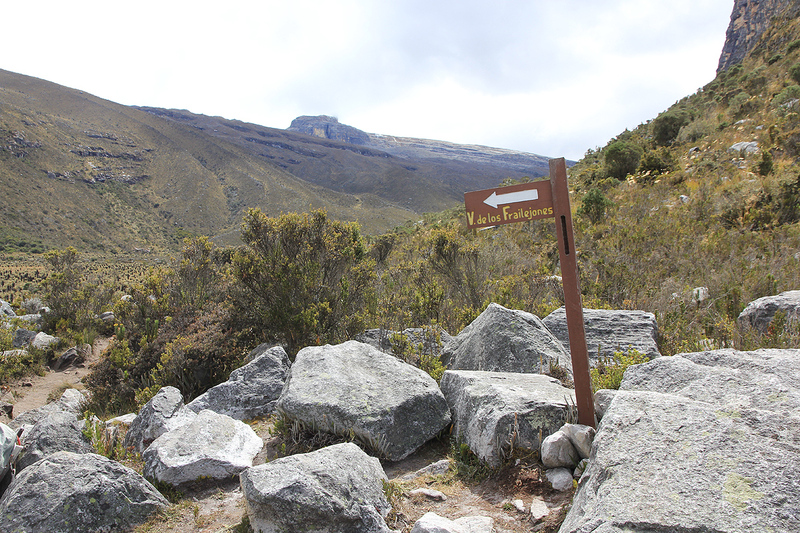 Follow the trail and go through two gates before leaving the valley floor as the trail climbs in the hill side on your right hand side. Shortly, you will pass a small farm house on your left. The trail continues uphill and reaches the top of a distinct step. 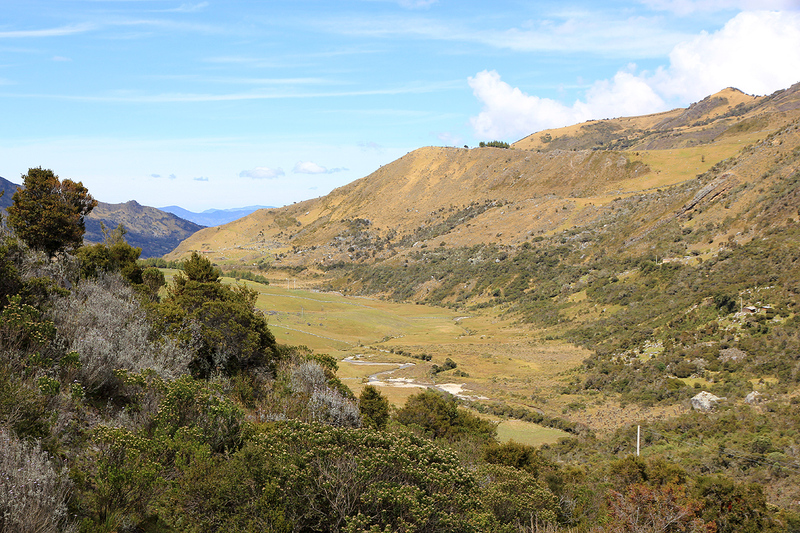 The flat valley floor is below and behind, however a new valley floor extends onwards, more to the right compared with the previous direction. Continue along a good trail to the far end of this flat section. You will run into a creek fork and a bridge that has been built for more rainy seasons than what we experienced. 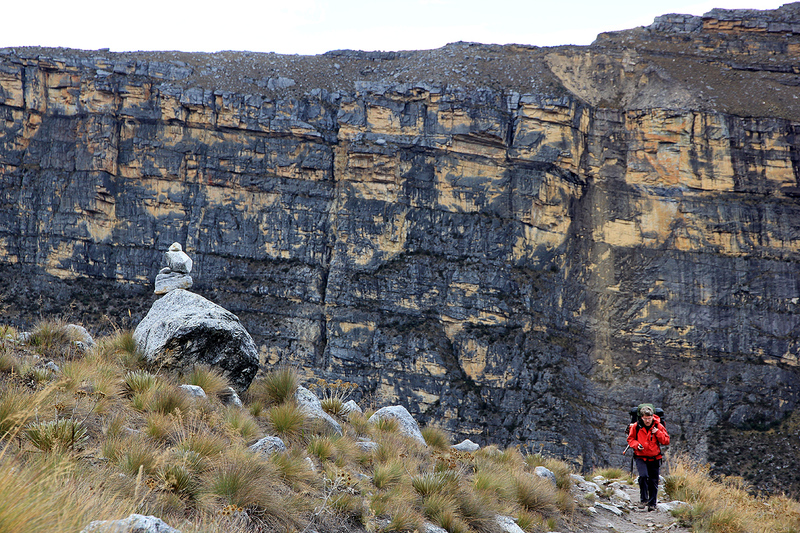 From here, the route climbs more steeply, first along a ridge, later just plainly uphill. Eventually, the route bends more left having gained most of the elevation. From here, one can look directly back down to where one started. The general direction is still uphill as the trail runs by a small cave (on the right hand side). 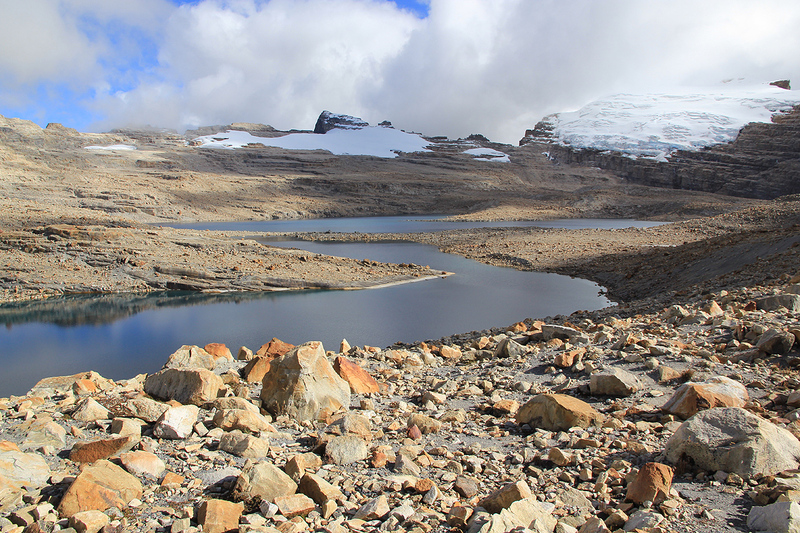 You gain the top of a moraine and just discover a second moraine in front of you. After gaining this, disappointment is likely to peak with the view of a third moraine still in front. 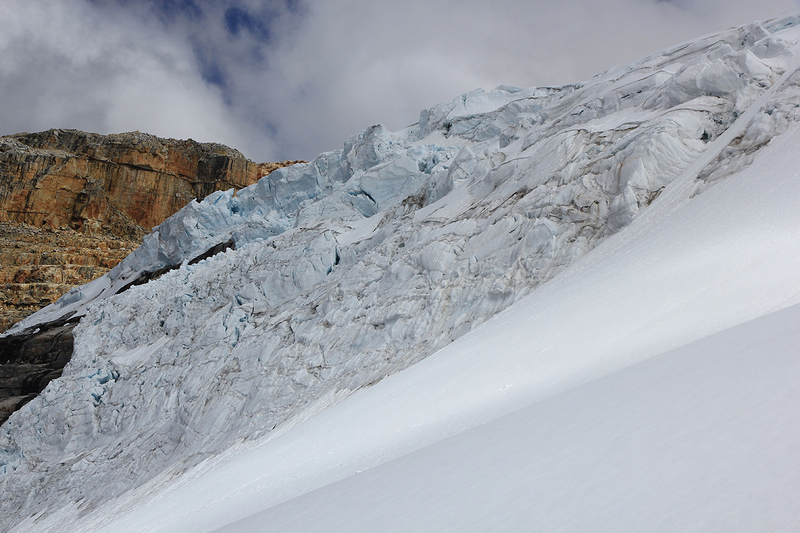 At least, the impressive glacier on our goal, Concavo, is right ahead. 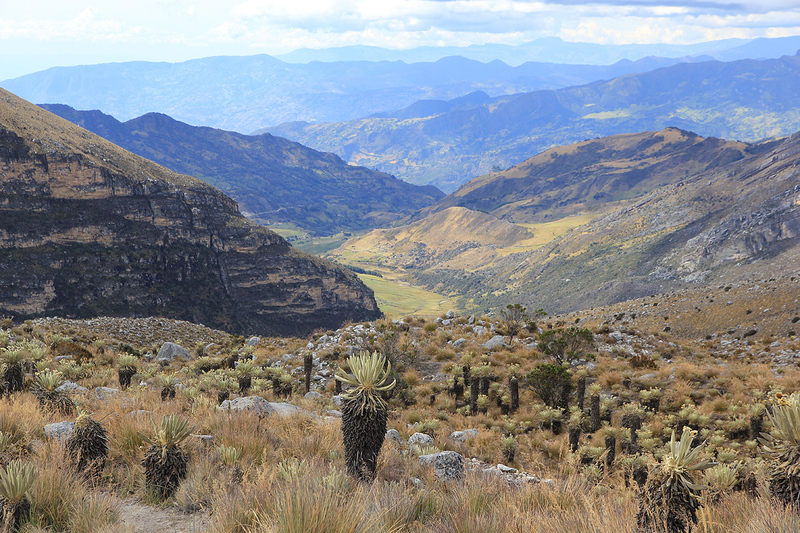 Finally, on top of the third moraine, you will see Laguna Grande below you, this is were one should camp. There are many pretty perfect camp sites, stone ringed spots that are sandy and completely flat. In order to reach the camping areas, you need to turn right when you reach the national park sign on top of the last moraine. The first area has 3-4 camp sites. If you continue across the next low ridge you will find a larger spot that easily may accommodate 10-15 tents. 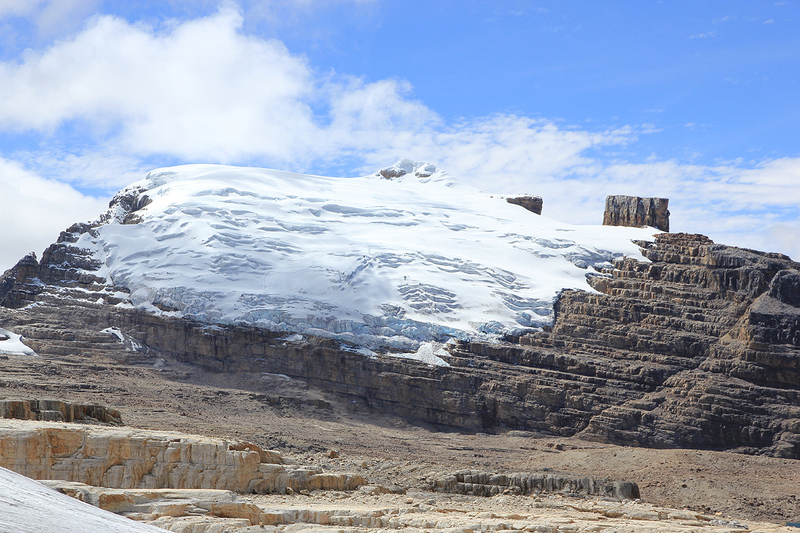 When looking at the glacier from the Laguna Grande, one easily may identify two possible routes. Both routes start at the left hand side of the glacier. The lower route access the glacier below the steep icefall, runs across (to the right) and then ascends the slope on the right hand side of the icefall. Higher up, it turns into the basin below the summit. The alternative is to hike up along the moraine ridge on the left hand side, essentially a continuation of the moraine that overlooks the lake. 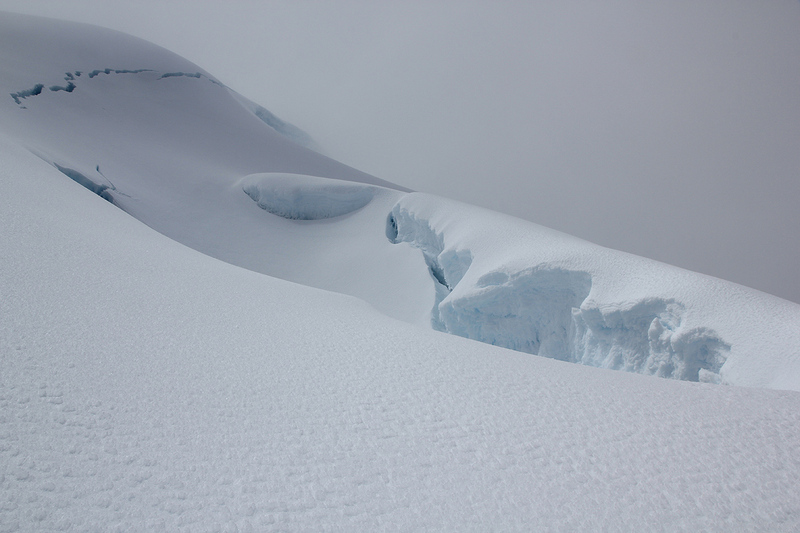 All the way up, one can then hike right on a broad shelf and access the glacier in what looks like a corner. This is above the steep icefall. the slope is gentle and this route will merge with the other route in the basin below the summit. This latter route is objectively safer as one avoids the danger of ice avalanche from the steep ice above the first part of the first route. From the basin, ascend a slightly steeper slope to gain the ridge well to the left of the summit. 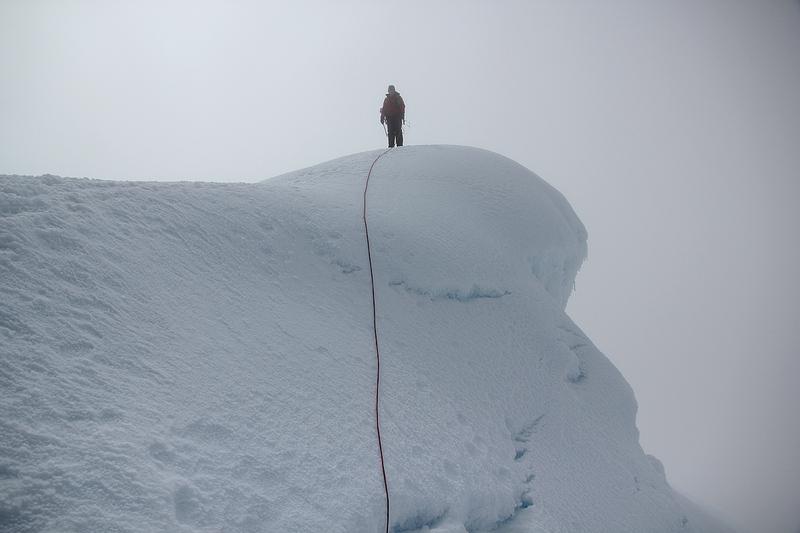 Turn more right near the top ridge and follow a very natural route until you are close below the final summit pitch. Ascend the short slope to the ridge (up left), before the summit, be aware as you enter a pretty narrow ridge with a monumental drop on the far side. 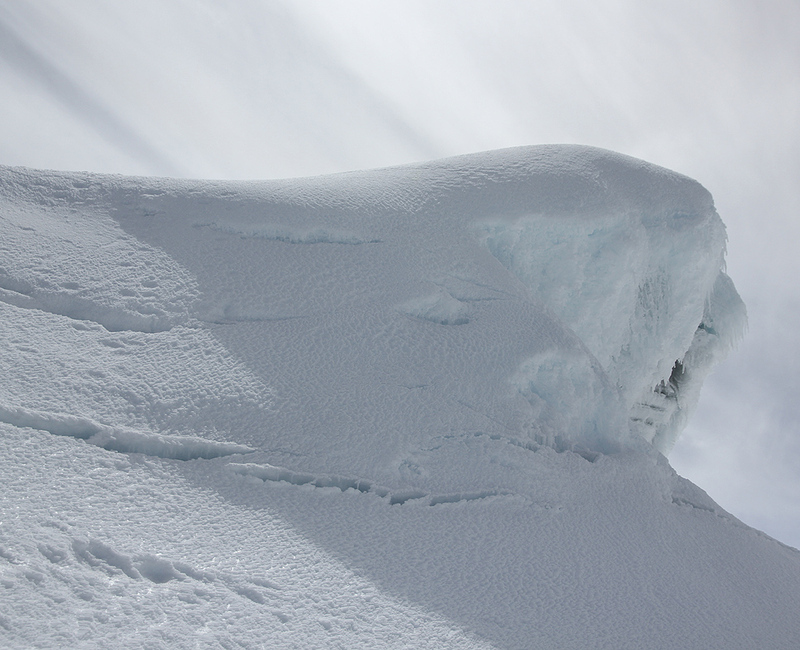 Be careful in case of cornices. Follow this ridge a few meter to a very fine summit with rather limited real estate. Be aware of the overhanging snow and stay in the center spot. We started from our tent at 0605. We decided to hike back to the sign on the moraine, then follow it uphill until near its end before going right on a shelf to the glacier corner. This route was cairned and the sand between the rocks made for really easy hiking. 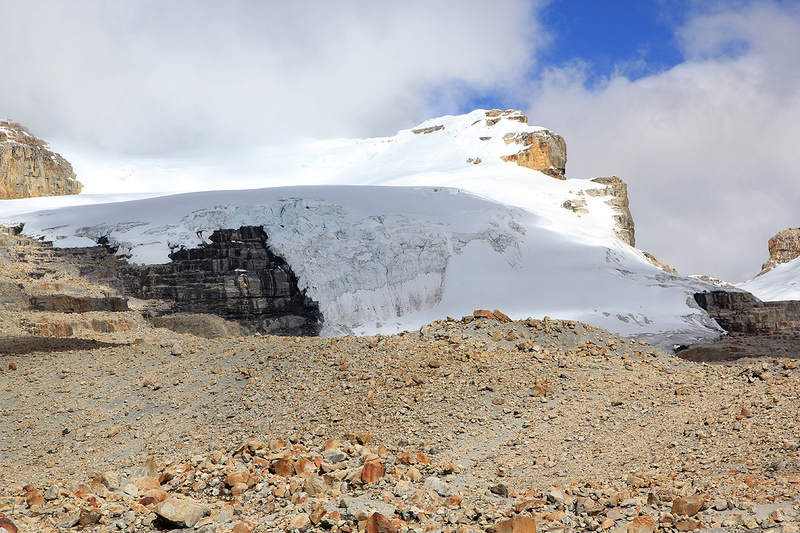 We followed the broad rock shelf to the glacier, the more narrow ledges higher up seemed to offer no advantage. 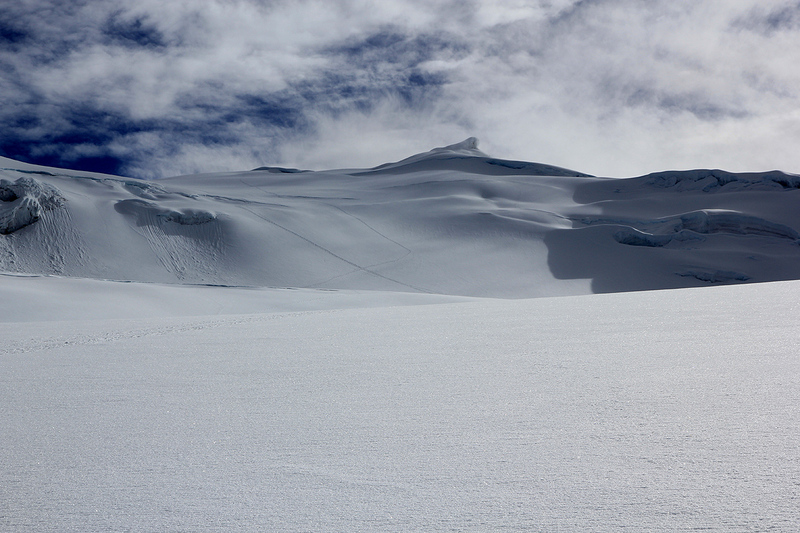 We roped up and easily ascended the glacier to the basin where the glacier is almost flat. Higher up, there is one distinct hill to climb before you enter the terrain near the final ridge. The route was surprisingly easy and soon we were just below the final pitch. This is also easy, but care is needed as the exposure to the far side is very significant. We arrived at the summit by 0935 and stayed until 1000. 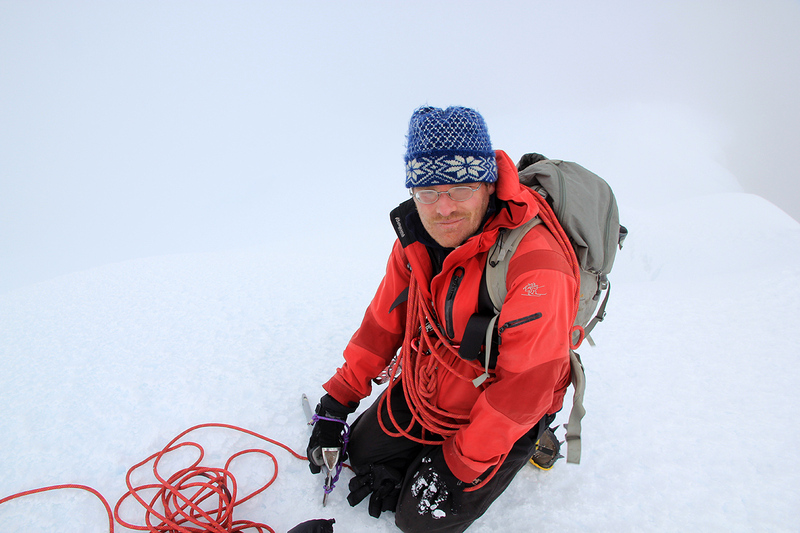 Unfortunately, a cloud had settled pretty permanently on the summit so visibility was not great. We decided to descend along the other route that is more left (going down), then a traverse right going below the icefall. A few crevasses, but nothing serious. We were back at the tent by 1130. The rest of the day was spent in the sun, Åke also did go for a swim, perhaps the highest in the world on this day? 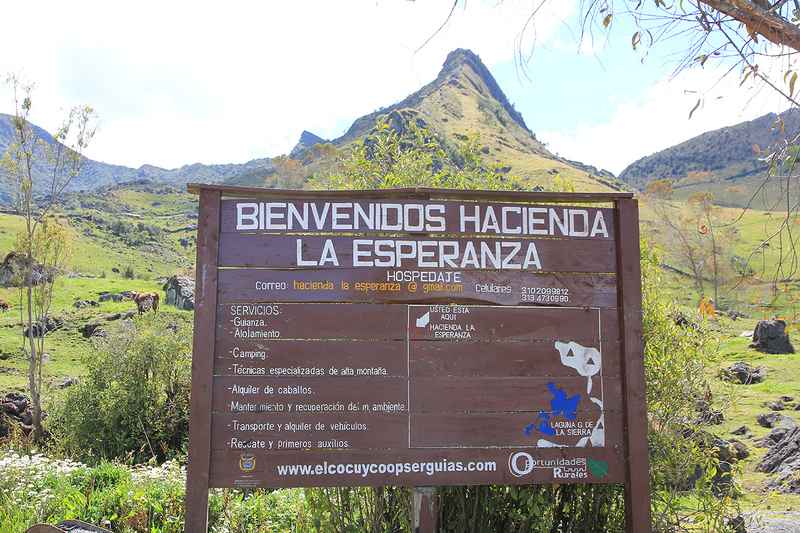 The next day, we left at 0815 and had a leisurly hike downhill, arriving at Esperanza at 1130. After some slight trouble with transportation, we finally arrived back in El Cocuy at 1650 (the actual drive took a bit more than one hour). Our bus back to Bogota departed the next morning at 0400. For more details, please refer to my trip report. Panorama view, as one approach Laguna Grande. 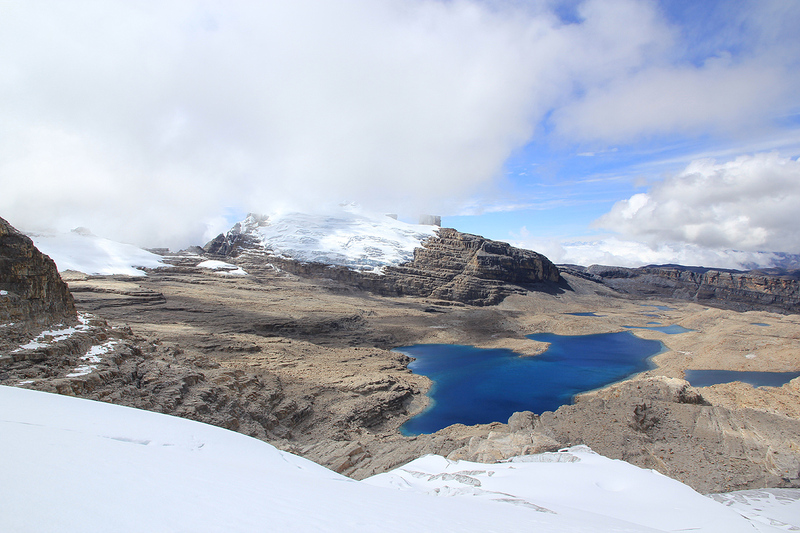 Laguna Grande as seen from the glacier on Concavo. 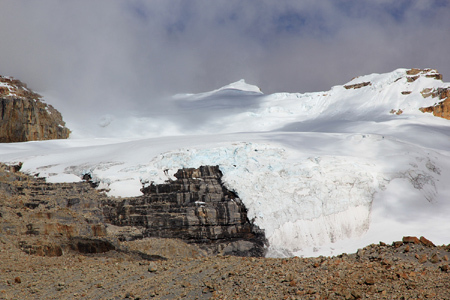 Pan de Azucar, the next major summit, as seen from the glacier on Concavo.